Out with the old, I decided it was time for a change. 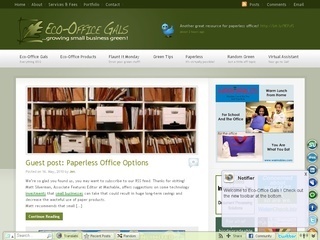 Eco-Office Gals has a fresh look, new theme, new colors, new new new! So take a look let me know what you think. See some thing I missed, don’t see something you wish was here? Leave me a comment or contact me directly! And yes, I did the design… Love It? 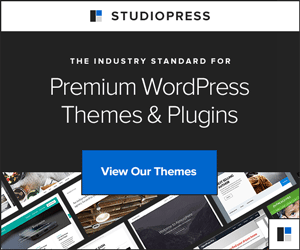 Want a new look for your WordPress site? Let’s talk! PS: Big Thanks to Lisa at Cactus and Ivy for helping me out of my brain drain this morning! « Shop Green with Eco-Office Gals! Thank you Donna. I saw those footprints and LOVED them! Knew the site needed them walking around, they were the inspiration of the redesign. How is your Pages project going? Talk to you soon! Congratulations! What a lovely new site! I love everything about it. The green footprints make a tremendously impactful statement. Very nice! A HUGE THANK YOU to you my dear, you got me rolling again! I love it! Woo-hoo!!! Site looks awesome gal!